Claridge’s has hired chef Simon Rogan to take charge of its new restaurant when it opens next spring. Rogan is filling the shoes of Gordon Ramsay, whose restaurant at the luxury London hotel closed in June after more than a decade (see news, March 1). The Claridge’s restaurant will be completely refurbished when it opens with Rogan at the helm next year. Rogan holds two Michelin stars at his flagship restaurant L’Enclume in Cartmel, Cumbria. 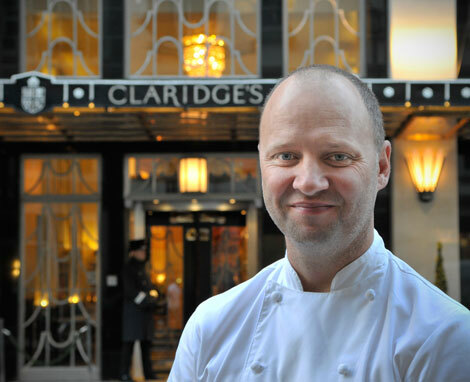 Claridge’s general manager Thomas Kochs said: “We are very excited about bringing Simon Rogan to Claridge’s. Rogan’s modern British cooking style is inspired by his love of indigenous produce, which he sources from his own farm in Cumbria. He said: “I have long been looking for a permanent London home and in Claridge’s I feel we have found a true partnership of creativity and world-class excellence.